As much as I love photographing weddings at all the fantastic event venues we have here in the New Orleans area, it's also nice to be able to do something completely different from time to time. 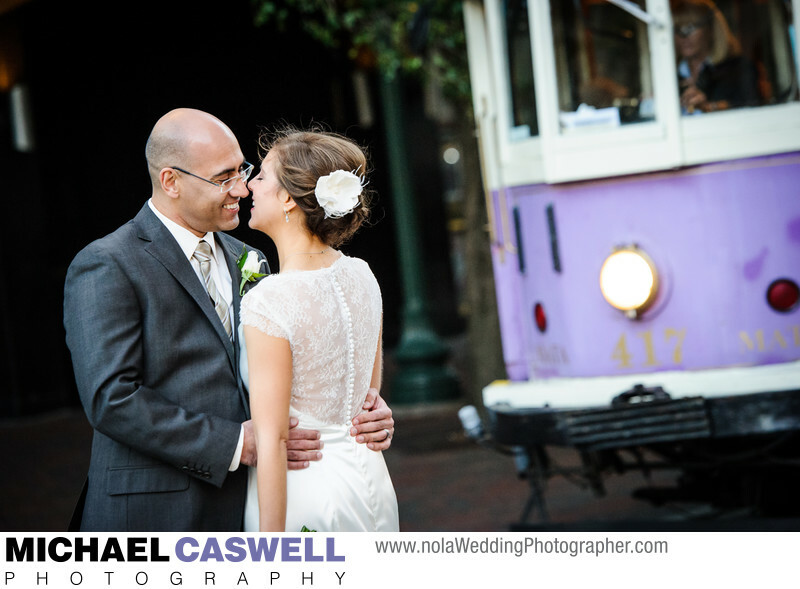 Such was the case with this Tennessee couple, who originally had contacted me intending to just hire me for a reception in New Orleans which was to take place a few months after their ceremony in Memphis. But they ended up deciding to bring me up to document the wedding ceremony as well, which I was delighted to do. After the ceremony, we took some time around downtown Memphis for some fun portraits of the newly married couple, which was loads of fun. And I didn't realize that city had streetcars too!